Wilhelmina was queen of the Netherlands for 58 years, from 1890 to 1948. Because she was only 10 years old in 1890, her mother, Emma of Waldeck and Pyrmont, was the regent until Wilhelmina's 18th birthday in 1898. Since females were not allowed to hold power in Luxembourg, due to Salic law, Luxembourg passed to the House of Nassau-Weilburg, a collateral line to the House of Orange-Nassau. For a time, it appeared that the Dutch royal family would die with Wilhelmina. Her half-brother, Prince Alexander, had died in 1884, and no royal babies were born from then until Wilhelmina gave birth to her only child, Juliana, in 1909. 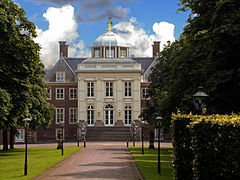 The Dutch royal house remained quite small until the latter 1930s and the early 1940s, during which Juliana gave birth to four daughters. 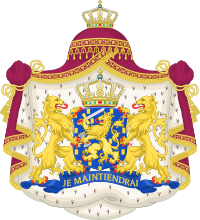 Although the House of Orange died out in its male line with the death of Queen Wilhelmina, the name "Orange" continues to be used by the Dutch royalty:vol5,507–508 and as evidenced in many patriotic songs, such as "Oranje boven".